My goals in college are to learn more about storytelling and filmmaking. I want to become a filmmaker, and I want to use my storytelling skills to make movies differently from others. 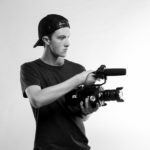 I want to have a visual style that stands out from other filmmakers, and college will help me achieve that goal. Please subscribe to see my latest videos!